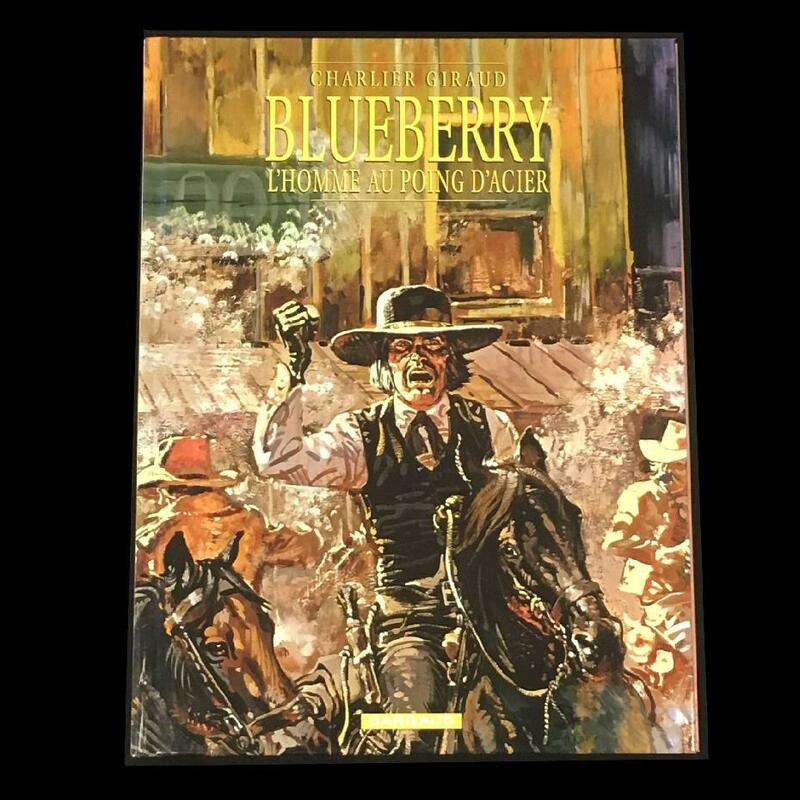 In terms of western, Blueberry is the absolute reference. It is in 1963 that this character is created for PILOTE by Charlier and Giraud. They camp at the beginning a solid soldier who appears as the look-alike of Belmondo. The resemblance fades over the episodes. Blueberry is a strong head: dingy, not always respectful of the military rigor, undisciplined, it does not hesitate sometimes to desert to fulfill at best its missions. The screenplay uses all the clichés of the American Western with all the necessary twists and picturesque characters (Mc Clure, Angel Face, Red Nick, Chihuahua Pearl etc. not counting the Indians who are rehabilitated by the authors, point of view adopted elsewhere in Cartland). Parallel to the classic cycle of the saga of Blueberry, Giraud draws between 68 and 70 the youth of the future lieutenant. This "series" resumes its course in 85 under the pencil of Colin Wilson, very respectful of the style imposed by Giraud. The albums were successively edited by Dargaud (22 tracks, the main part of the background) then by Fleurus / Hachette, then by Novédi and finally by Alpen for the novelty drawn by Vance. Dargaud undertook the reissue of Blueberry albums remacked and embellished with new colors.